From this definition of Lasco (1999), we could note that there are two basic roles of agroforestry which are protective and productive in nature. If effectively applied, agroforestry is an effective tool for rehabilitating and managing degraded uplands and promoting rural development. It has the potential to contribute to the conservation and amelioration of the upland natural resource base similar to the beneficial influences derived from forest ecosystems. It can also bring about increased crop productivity, self sufficiency in basic necessities and over-all improvement in the socio-economic conditions of upland famers. The realization of these potentials is based on two premises: the protective/ameliorative (ecological) and productive (socio-economic) roles of agroforestry. ECOLOGICAL ROLES – This is based largely on the beneficial effects of trees on soil and the microenvironment. It involves soil conservation and amelioration, water conservation, improvement of microclimate. And other benefits like aesthetics, food and shelter, resistance to pests and diseases (Lasco, 1999). SOCIO-ECONOMIC ROLES – This includes long term benefits particularly in alleviating the socioeconomic conditions of subsistence farmers. As the upland ecosystem is conserved and improved by appropriate agroforestry systems, it follows that productivity could also be sustained through time. This in turn ensures the farmers’ self sufficiency in food, energy, fodder, and other basic services while providing extra income that could be used for other socioeconomic needs (Lasco, 1999). 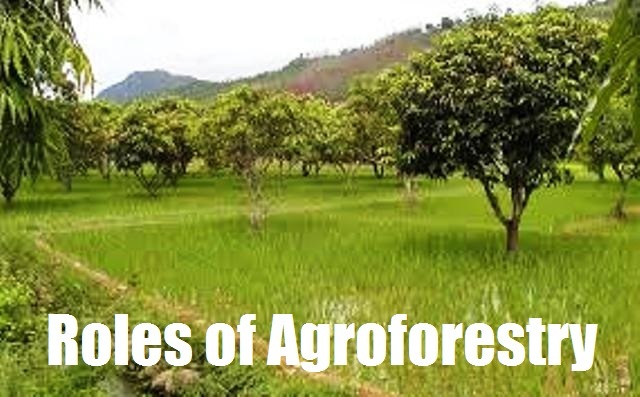 Agroforestry, aside from its ecological and socio-economic roles is a discipline and an approach to land use that incorporates the complexities of sustainable natural resources management. A successful agroforestry initiative will largely depend on a keen understanding of the roles of agroforestry.